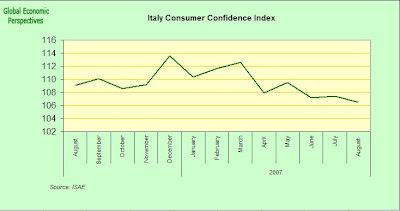 Italian consumer confidence dropped to a 16-month low of 106.5, a separate report showed today. Household spending makes up for two-thirds of the $1.8 trillion economy and is the motor for growth in Italy, the laggard among the top four economies in Europe. 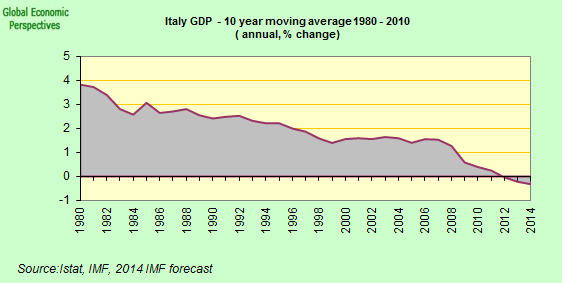 If we look at a graph of the time series we will see that this index peaked back in December, and has been steadily working its way down since, which isn't really surprising when you come to look at the general macro data for the Italian economy so far this year.